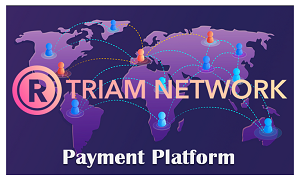 It is a remittance method of coins issued by RIA, GBT, and other TRIAM Network. 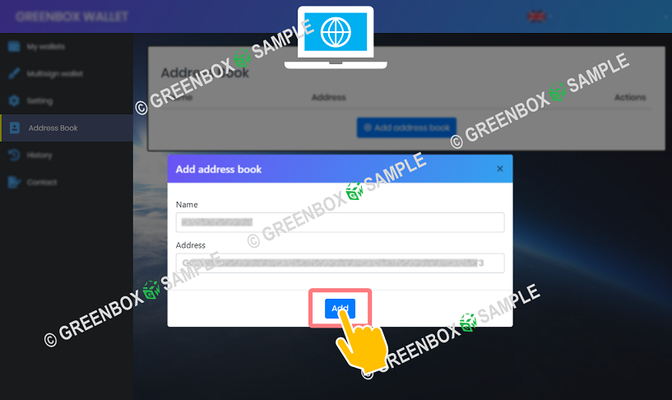 To remit you, you enter the wallet address of the remittee, but let's create an address book to prevent typing errors. 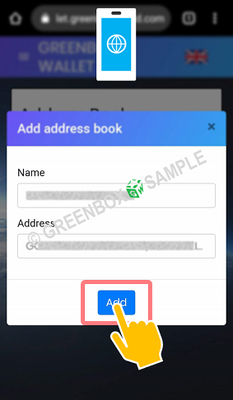 Select the address book in the menu and tap Add address book. 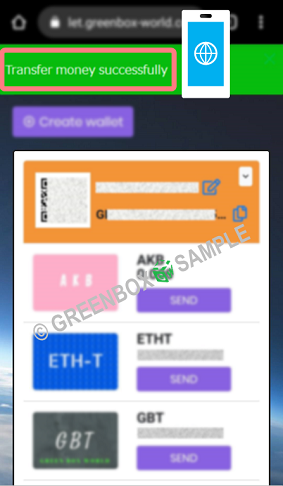 Enter the wallet name and wallet address you want to register and tap Add. 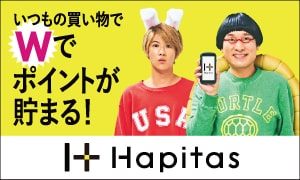 ※ Please input address by copy and paste to prevent input errors. 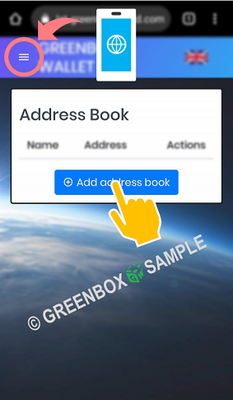 An address book has been created. Repeat this process if you wish to continue. You can Edit and Delete from icons. 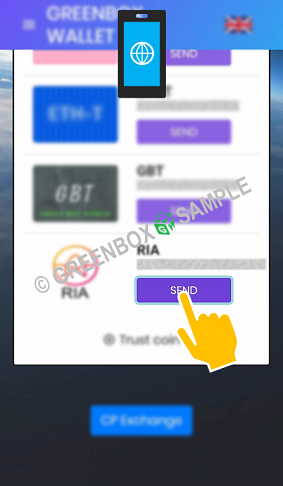 Tap ''Send'' for the coin you want to send. 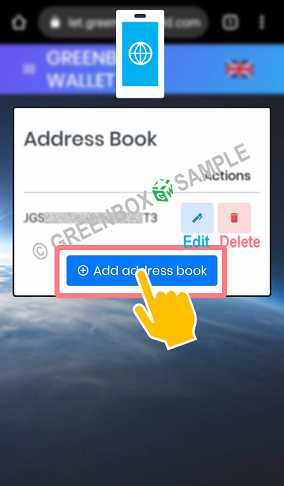 Enter the address by copy and paste or select it from the address book. 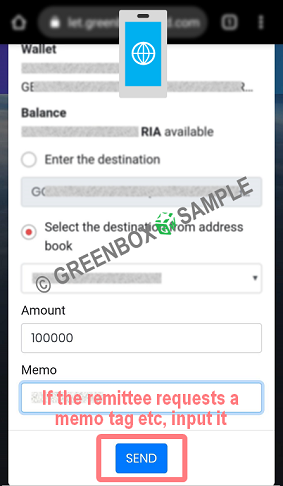 If the remittee (exchange or wallet) requests a memo tag (code) etc., enter it in the message field. 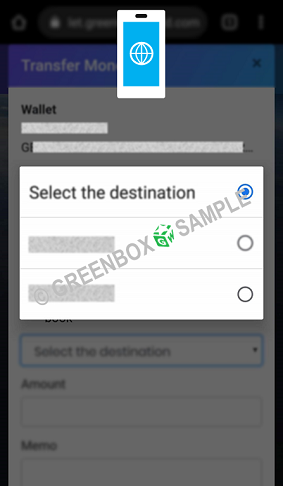 If there is no request, do not input and tap "Send". 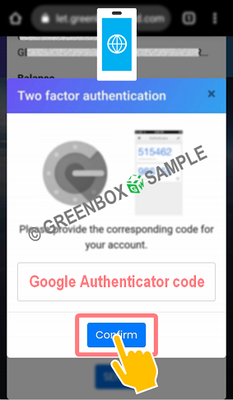 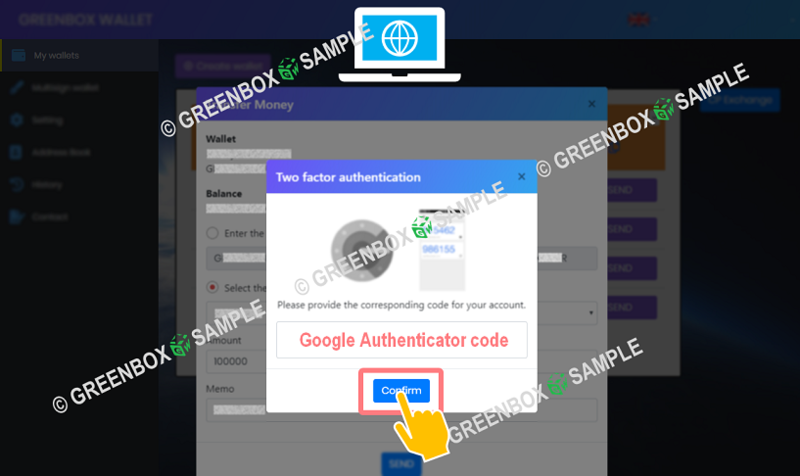 Since you are asked for two-factor authentication, enter the authentication code (6 digits) generated in the Google authenticator application and tap "Confirm". 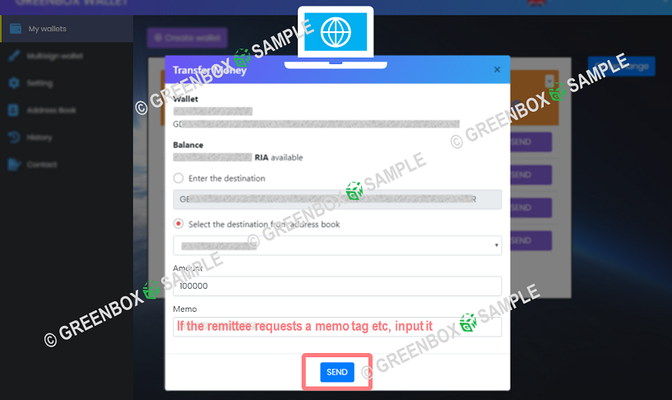 "Transfer money successfully" is displayed and remittance is completed. 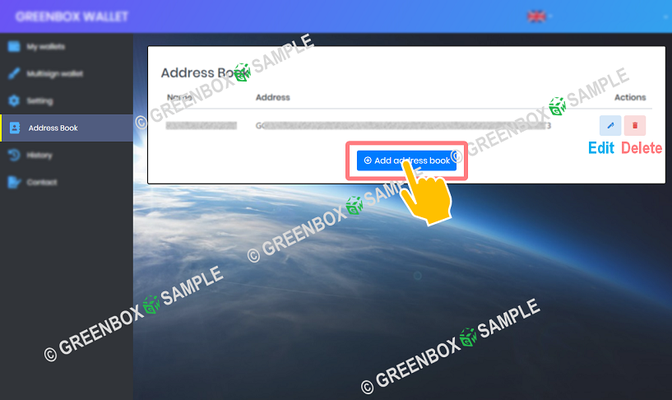 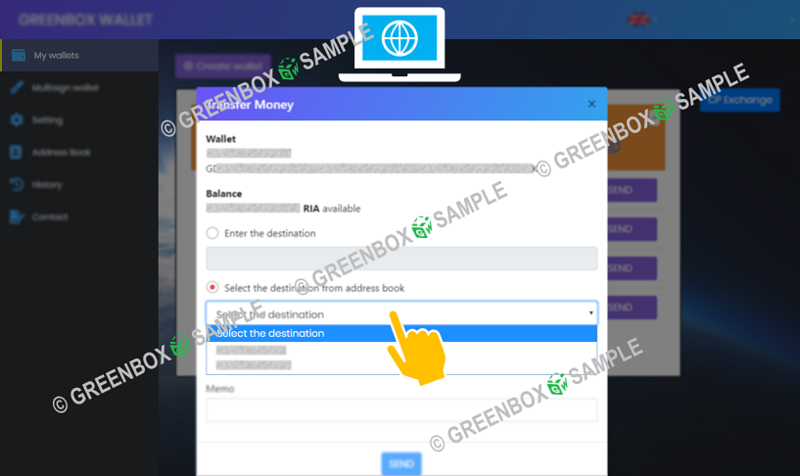 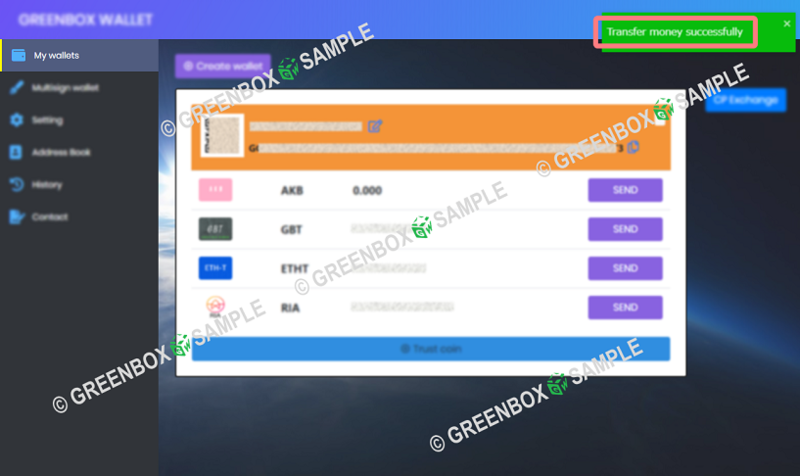 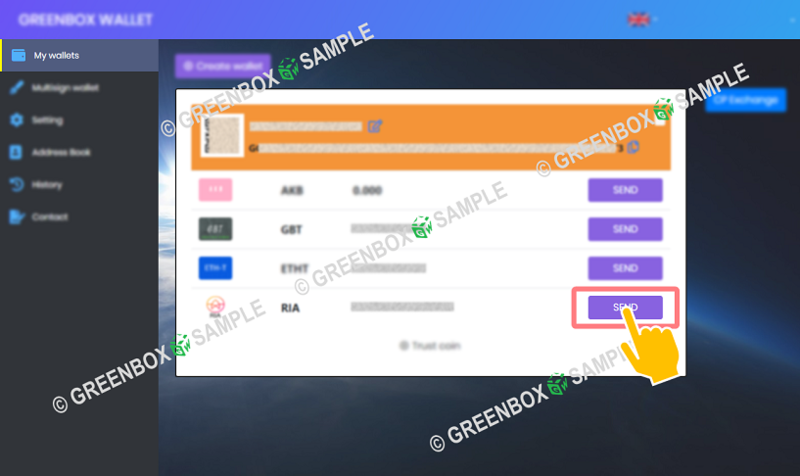 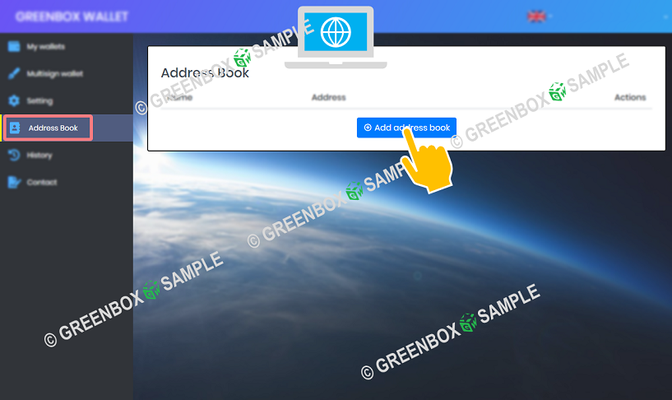 Remittance to other GreenBox Wallet will be worn in seconds. Remittance to exchanges varies depending on exchanges.